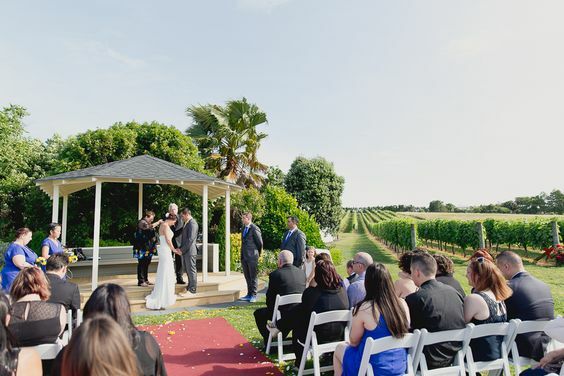 Soljans Estate Winery is the perfect place to have a beautiful stress-free wedding. 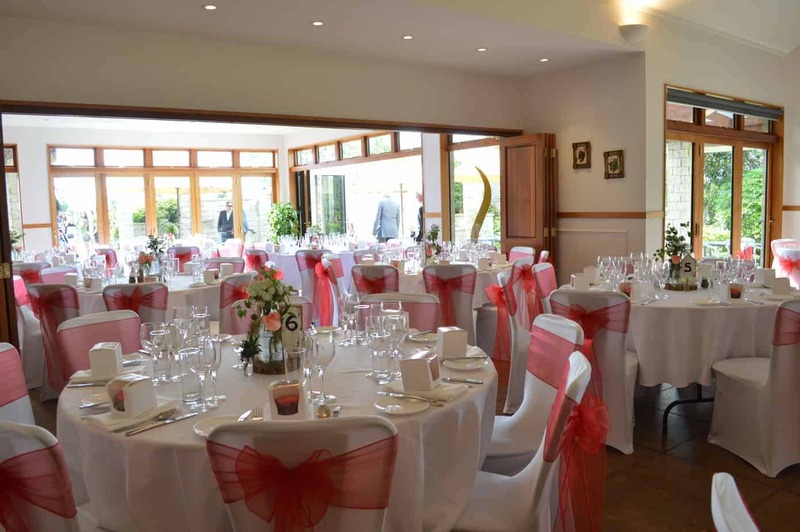 The wedding venue is completely exclusive for your wedding. We have unique and stunning photo opportunities such as our winery with stacks of oak barrels, piles of wooden crates and our endless rows of lush vines. Our inside reception area connects by bi-folding doors to the outdoor patio and lawn area. Soljans open plan allows you to move about and adjust your set up so everything is just right. Soljans ceremony area offers a Pergoda surrounded by manicured gardens and vines. Encase of bad weather the dance floor space can be converted for an indoor ceremony. Wedding ceremonies and reception start at 5pm and finish at midnight, with the bar closing at 11:30pm. In addition to the venue itself, Head Chef, Paul Reid has designed two exquisite wedding menus to choose from, view-able in the menus tab as well as onsite beverages. In addition to make certain that your day is as stress free as possible, we have a weddings coordinator who will help you create your perfect wedding and take you through the planning step by step. From the flowers to the chair covers, we are here to make sure not a single thing is out of place on your day.